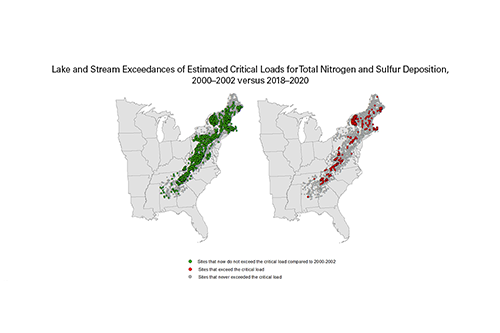 Acidic deposition resulting from sulfur dioxide (SO₂) and nitrogen oxides (NOₓ) emissions may negatively affect the biological health of lakes, streams, forests, grasslands, and other ecosystems in the United States. 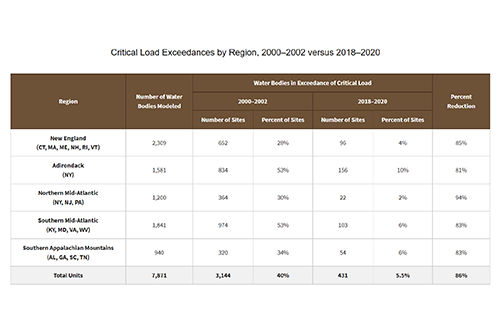 Trends in measured chemical indicators allow scientists to determine whether water bodies are improving and heading towards recovery or if they are still acidifying. 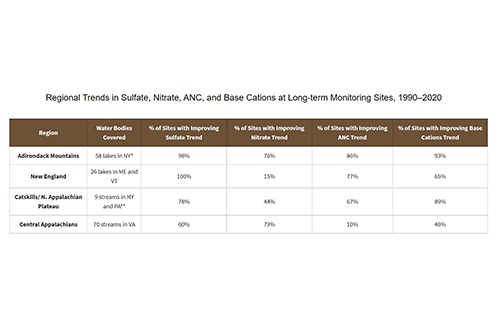 Assessment tools, such as critical loads analysis, provide a quantitative estimate of whether acidic deposition levels of sulfur and nitrogen resulting from SO₂ and NOₓ emission reductions may protect aquatic resources. Ground-level ozone is an air pollutant that can impact ecological systems like forests, altering a plant’s health and leading to changes in individual tree growth (e.g., biomass loss) and to the biological community. 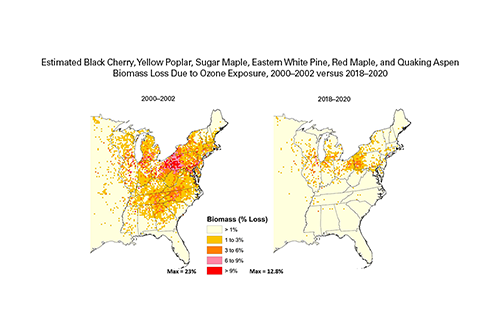 Analyzing the biomass loss of certain trees before and after implementation of NOₓ emission reduction programs provides information about the effect of reduced NOₓ emissions and ozone concentrations on forested areas.